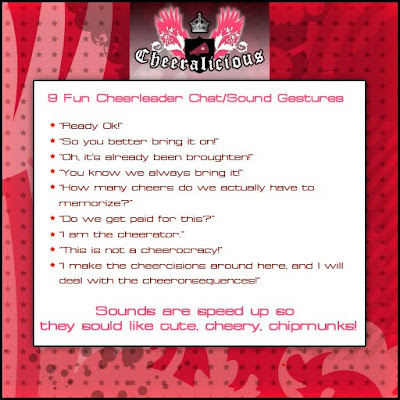 My Second Life as Amariah Francis: New Things at Cheeralicious! If you haven't been by Cheeralicious lately you should check it out, a new store build and lots of new items! We've got new cheerleading uniforms, cheerleading practice gear, cheerleading pom-poms, cheerleading shoes, and more! 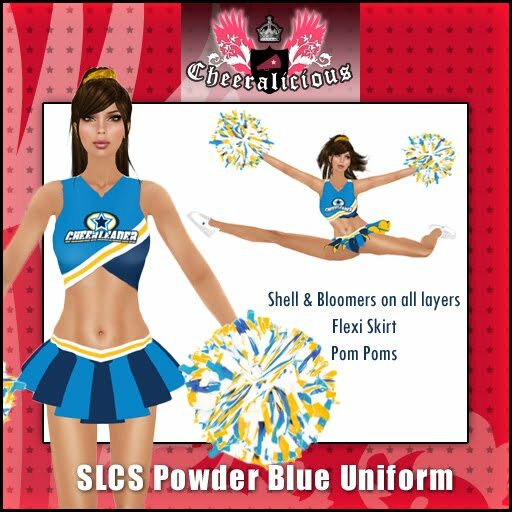 Lots of colors and yes I paid attention to the various groups in SL that have cheerleaders, I'm sure I've got your colors covered! Here is our latest uniform release! And ... as always I take custom orders for your squad! Just drop me a NC with the details of what you need and I'll get back with you!